I have this impressive friend named Heather, who raises her own chickens and uses everything but the beaks to create food for her family. When I learned she made her own stock out of the chicken feet, I was taken aback. 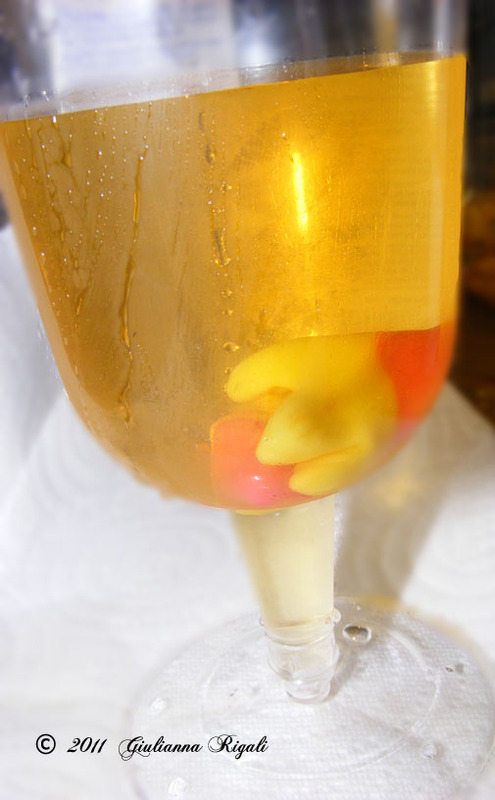 Okay, it was worse than that, I was thoroughly GROSSED out! However, this is the accepted method of making sensational broth, even Michael Chiarello of Bottega encourages the same I have learned, as I read and review his cookbook. We have this ongoing joke that I am scared to ever visit her as I might find chicken feet in my bed. Another friend of mine, Holly, who also raises chickens (in the city), permits her daughters to polish the chicken toenails pretty colors. Thus, I imagine waking up at Heather's house to find chicken feet with polished toenails in bed with me, not to mention the ensuing SCREAM that shatters the windows! So this last week a package shows up via Priority Mail. My enthusiasm was brimming and then I saw it was from Heather. My throat sank into my stomach. Sweat beaded upon my brow. My heart began to race as if I was about to open a package from the Godfather! 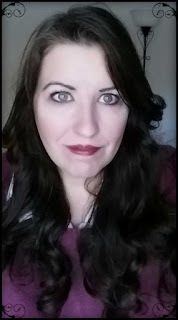 A combination of curiosity and fear thrust me about like a roller-coaster. My greatest fear could be realized and the laughter all hers. In fact, I could imagine not only finding real, live (okay, dead) chicken feet in this box attached with a horrible sound box exuding a combination of the Joker's laugh and Heather's evil chuckle. Maybe even a camera set-up to film me horrified and passing out. I might become the next viral youtube video!!! Perhaps if you understand that I almost puke when I have to clean out the gizzards and neck from the turkey's cavity and cannot get them in the trash fast enough, you will know that I now fear chicken feet as much as getting bitten by another rattlesnake. I tear open the box, hoping the smell of rotting chicken feet does not overwhelm me. Hmm...nothing so far. But of course...whatever is in the box is hidden in the middle of packing materials. Lifting each piece of it adds to my torment. OH MY GOODNESS!!!! I cannot believe she actually had the NERVE to do it. 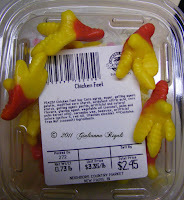 Heather sent me CHICKEN FEET! BA HA HA HA! This is by far the funniest stunt EVER pulled on me! Who would have thunk??? 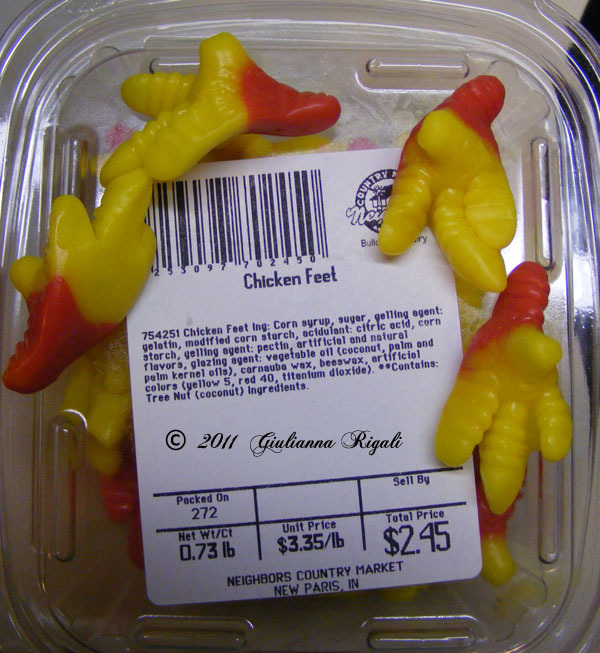 Somebody actually makes candy chicken feet! Gotta love Heather for finding these and sending them to me. I know she would have enjoyed watching me stress out and the RELIEF that came along with the longest and hardest laugh! Well, I could not just let this go to waste. 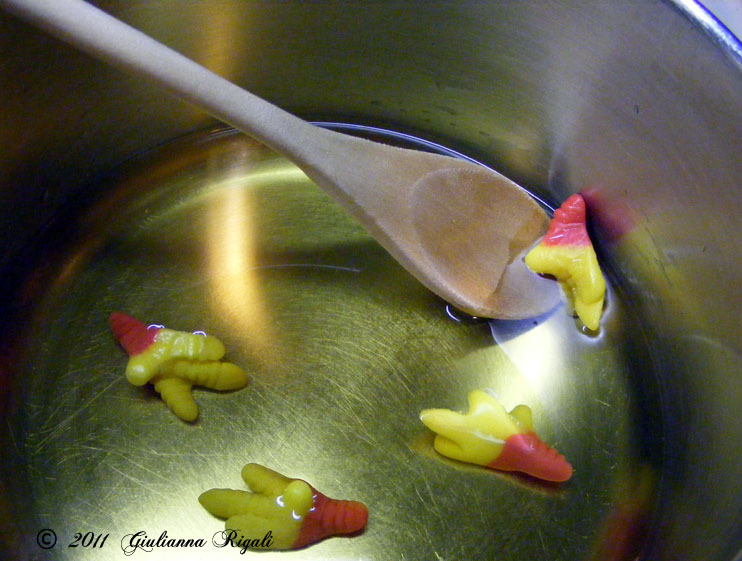 If Heather can make chicken stock out of her chicken feet, then so can I. My recipe differs a bit from hers. Mine uses apple juice and "cute" chicken feet! 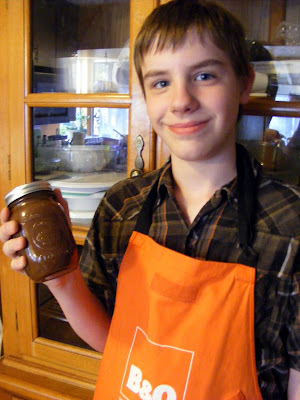 And since we have colds in our household and there is nothing as good as chicken broth to savor when sick...we each drank a cup of the chicken stock I made. Heather, I know you are so proud of me. I aspired to be more like you and I think I have done a great job!!! So here's chicken feet in your eye! Cheers!